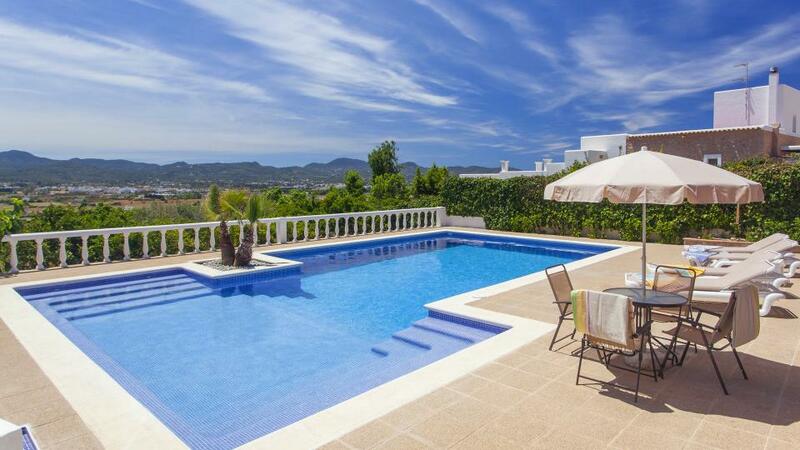 Spacious house with great views over the coast, the sea and the islands of Conejera and Bosque. 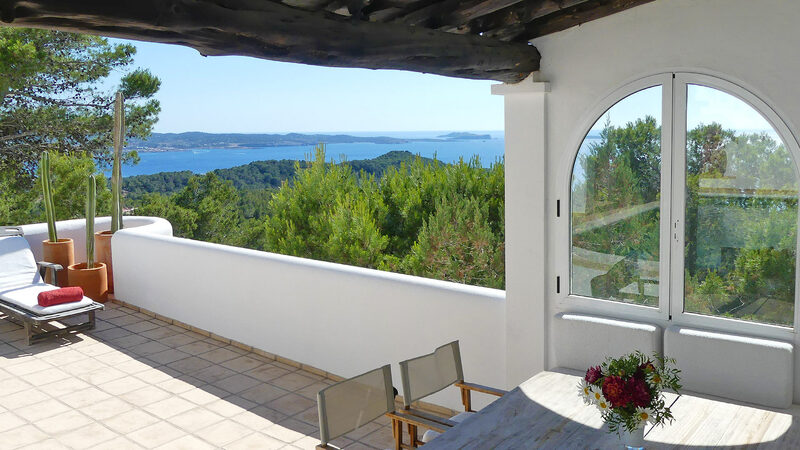 Overlooking the bay of San Antonio and the south coast, this property is ideally located close to the beach of Cala Salada. Residential area very quiet. Room, Lower floor, direct access to the garden. This bedroom has 1 double bed Queen size. Bathroom ensuite, private, With shower. This bedroom includes also air conditioning, safe. Room, Lower floor, direct access to the garden. This bedroom has 2 single beds. Bathroom ensuite, private. Room, Ground level. This bedroom has 2 single beds. Bathroom ensuite, private, With shower. This bedroom includes also air conditioning. Room, Ground level. This bedroom has 1 double bed Queen size. Bathroom outside the room, private, With bathtub. This bedroom includes also air conditioning. Completely independent with access from external staircase. 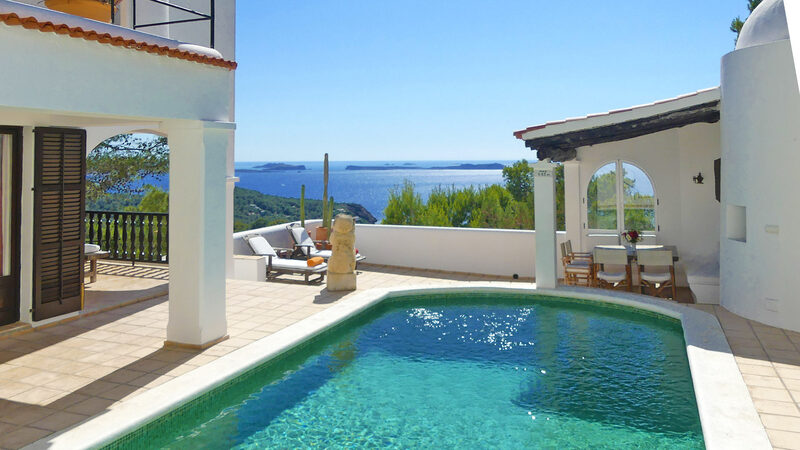 Large living room, dining room with fireplace and stereo direct access to the terrace and pool. Access from inside and outside with staircases. Large living room with sofa , fireplace, flat screen TV international satellite (French and Spanish channels), DVD player and stereo audio system. 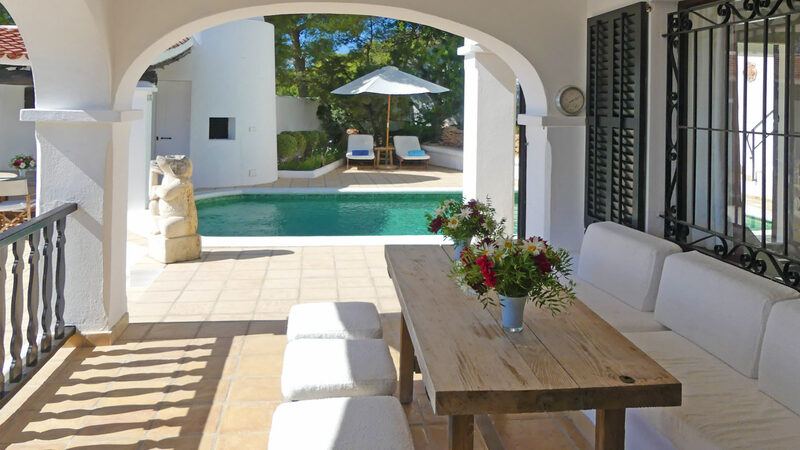 Large terrace fully furnished with chairs and outdoor table for 9 people. Private pool of 8mx4m (barrier on request). Various covered or uncovered terraces either furnished with chill out lounge or outdoor dining. 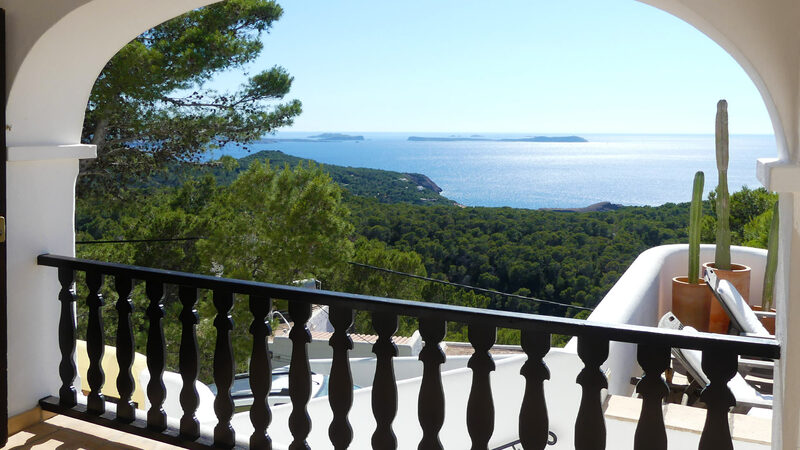 Upper level: fully furnished large terrace with sun loungers and outdoor table for 9 people. 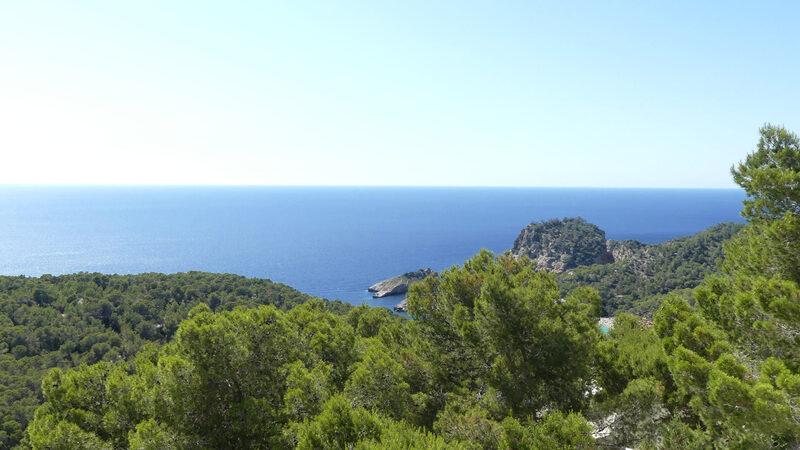 17km from Ibiza town and 12 km from our offices located in Cala Tarida.